Expanded or innovative municipal funding was developed to be used specifically to increase the planting and care of community trees. Examples include special tax districts, curb tax, bond issues, license fees, gas tax, utility surcharge, etc. The tree management system was first computerized and is site specific, i.e. individual trees identified with specific locations, and includes a work-reporting method with the work data on individual trees updated on a regular basis, preferably at least weekly. Wildlife habitat was developed or protected, including such practices as setting aside “no mowing” zones, planting trees and shrubs for wildlife purposes, protecting riparian zones, adding water impoundments for wildlife, providing nest boxes, etc. Forested open space was acquired or a park developed with major tree planting. To use this criterion, it is necessary to demonstrate that the forestry staff or tree board was instrumental in the project. The land in question must be available for public use. Land covered by a scenic or other easement may also be included here. 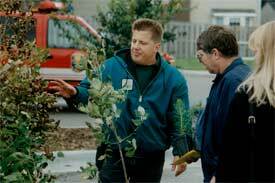 A tree-care emergency plan was developed or significantly improved. The plan could outline who will provide what services after a severe storm, mutual aid available between communities or jurisdictions, and how to work effectively with the news media. 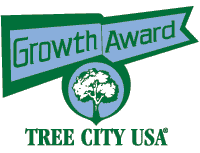 Seek and receive accreditation for the municipal forestry department such as that provided by the Society of Municipal Arborists.